Why did we dine here? 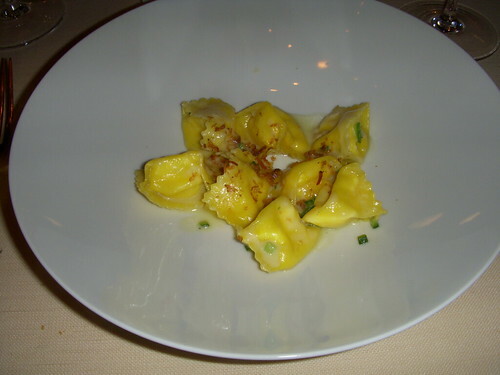 – La Pergola is a three Michelin star restaurant in Rome (The only one), known for its fine food as well as stellar view. Located in the Rome Cavalieri Hotel, This restaurant has a legendary wine cellar with over 53,000 bottles. We noticed a wine from 1888 that cost €29,000! They have a water menu with a staggering 29 choices! All with descriptions of where the water was from and its highlights. Heinz Beck is the well respected chef. The decor of this restaurant is stunning, with fine paintings, porcelain, and elegant furniture. Walking into this hotel, makes you feel like you have been transported to the 1970’s. Insider Tip – Make reservation well in advance. Try to get a table outside. Go easy on dessert as there are many freebies. Service – La Pergola had beyond excellent service with lots of suggestions, refills, and beyond the call of duty help. This is one of the strong suits here. Verdict – La Pergola serves up excellent food in a beautiful dining room with a stellar view. The service and environment clearly lift ratings. 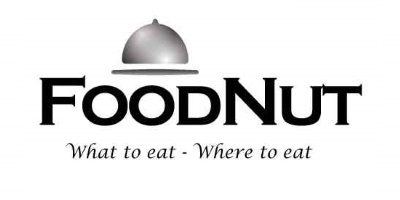 Any self-respecting foodie should visit this restaurant when they’re in Rome. While some dishes were extremely tiny, added up with all the freebies, you come out of La Pergola extremely full and satisfied. La Pergola’s Menu changes all the time. They have a 6 (€190) or 9 (€210) course gourmet menu as well as a la carte options. Mojito (€18) – Very good, strong, with lots of sugar crystals. Strawberry Bellini (€18) – Very fruity. Amuse Bouche of clams, cauliflower with sand underneath – Crispy, fun, chewy. 5 different breads with some of the best foccicia. 5 different salts including a black Hawaiian, Australian, Sicily, and one from England. Tartare Ricciola – Amberjack Tartare (€42) – There was an Olive inside the fish and some dry-ice for good effect, which actually caused some of the fish to freeze. Piccione foie gras – Squab with foie gras (€55) – A very nice dish with tender squab and perfect foie. Very low on the quantity scale. Fagottelli “La Pergola” (€49) – This is their signature dish with an explosion in creamy and rich flavors with every bite. Sort of like a slap-sh of carbonara. A must order! Spaghetti all’acqua di pomodoro con tartufi di mare, salsa di basilico e prezzemolo (€46) – Came to us in the classic very al dente state. Chewy, non-traditional with some sweet tomatoes. Risotto all’olio d’oliva e Grana Padano con verdure e scampi in pinzimonio (€49) – It was interesting to eat a risotto that was very al dente. Rich, full of flavors. Composizione di pesce sul mattone di sale con verdure e insalata al profumo di limone e aria piccante (€55) – An interesting medely of five different kinds of fish including squid, all cooked on a salt brick. Cheese – A fine selection from the trolley (€25) – 14 different Italian cheeses to select from. All excellent. Zuppa Albicocche – Apricot Soup (€21) – Was refreshing on this hot summer day. It was topped with a selection of nuts. Coffee Souffle (€25) – Rich, delicate, classic. Semi-Freddo Frago (€22) – A strawberry parfait with lemon ice cream. Four types of migrades – Fruit gelee, chocolates and more. Two ice cream cones. One Passion Fruit that was excellent. The other was a chocolate covered gendora.